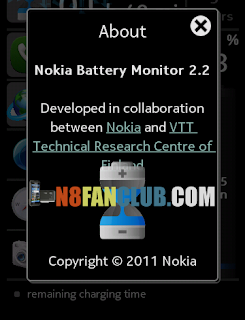 Nokia Battery Monitor shows estimates of remaining battery life and statistics of battery usage. It also provides power save features and remaining charging time estimates when charger is connected. 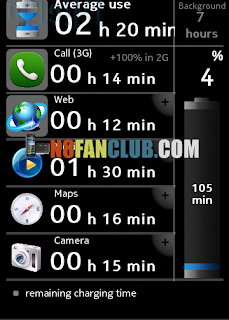 Version 3.1 introduces an optional Facebook app enabling battery usage comparison with your friends. This feature can be activated on first start-up or in the application settings. Please uninstall previous versions before installation.